When the Space Shuttle program came to an end in August 2011 I decided to retire after working 30 years with the program and seek out new adventures. The following month my daughter, Jocelyn, and I set off on our first bicycling adventure “A Father/Daughter Adventure” (my first journal on crazyguyonabike.com that is up to over 75,000 hits) across the Southern Tier and arrived in San Diego, California November 19, 2011. It was a trip that included many hardships that included my father’s death, a fall that broke my rib, and a bike that failed me many times. But we completed our trip to San Diego, California from Cape Canaveral, Florida. Following that adventure my son, Cary, and I spent several weeks in California cleaning out my parents’ home of 61 years and putting it on the market to sell. We arrived home a few days before Christmas after another adventure riding the Amtrak train from California, across the desert and mid-west to Chicago, Washington D.C. and then on to Florida. This train trip was an adventure in itself. 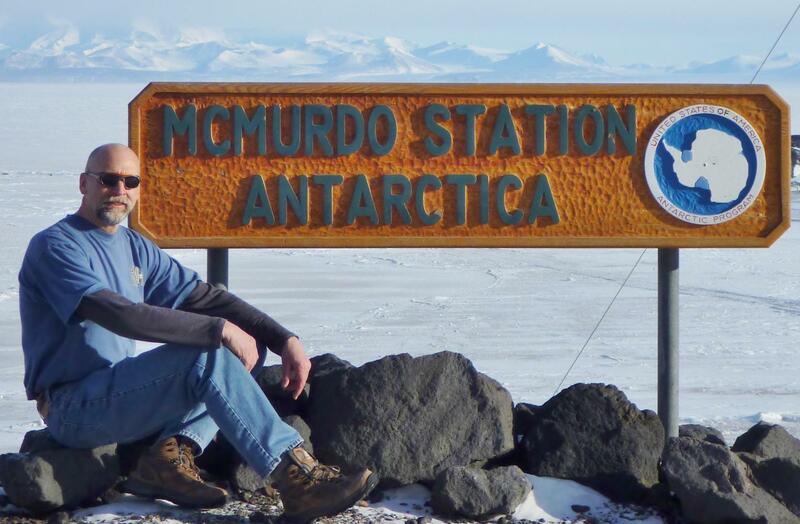 At that point I had been contacted by a NASA contractor who was looking for an engineer to staff the NASA satellite ground tracking station at McMurdo Station, Antarctica. 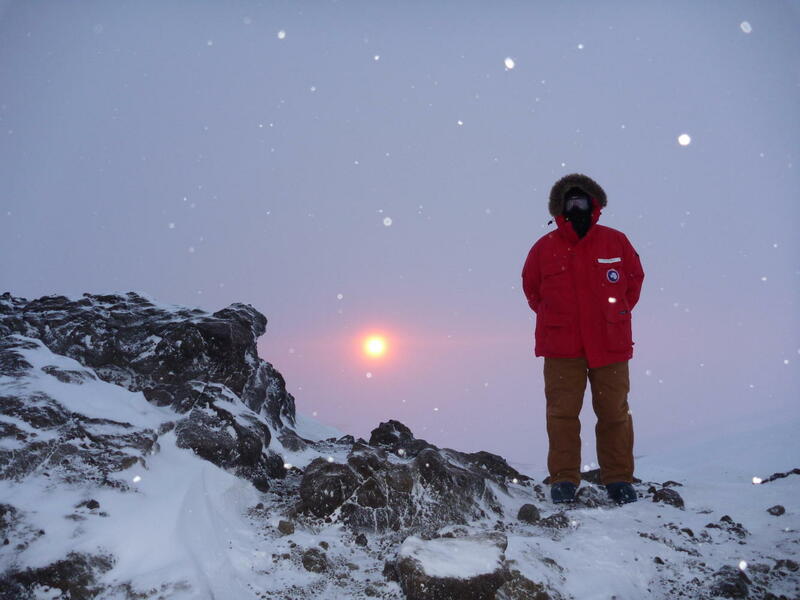 Since I was in an adventurous time of my life I readily agreed (and fortunately did my understanding wife) and began the arduous physical, dental, and psychological testing required to winter in Antarctica for the United States Antarctic Program. During the Antarctic winter (February – October) there are 150 people on station while during the summer the population soars to 1200. Also in the winter we endure four months of total darkness with extremely cold temperatures. Our coldest temperature so far has been -65 degF windchill. But is a wonderful place to be for an adventurous explorer. I have had a great time here, made many new friends and learned things about myself that I never knew. Travel to McMurdo is through Christchurch, New Zealand by an Air Force C-17. After an 13 hour flight from California to New Zealand it is another five hours south to Antarctica on the C-17. My “off the ice” date is October 5th. A few days ago it was the one year anniversary of our Father/Daughter Adventure start. 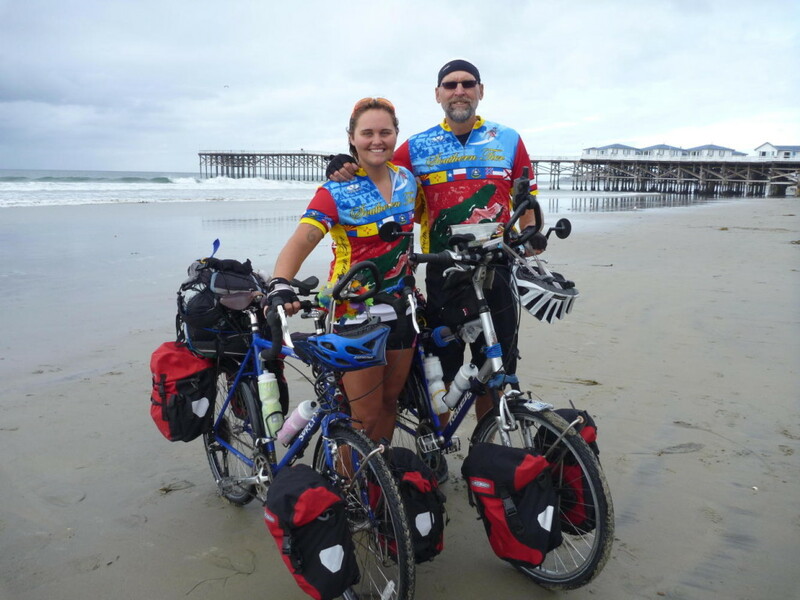 We have both missed the adventures of the road and what better time to have another adventure than by delaying my travel home by six weeks to bicycle in New Zealand with Jocelyn. On October 5th I will return to Christchurch and wait for Jocelyn to join me in New Zealand on the 10th. 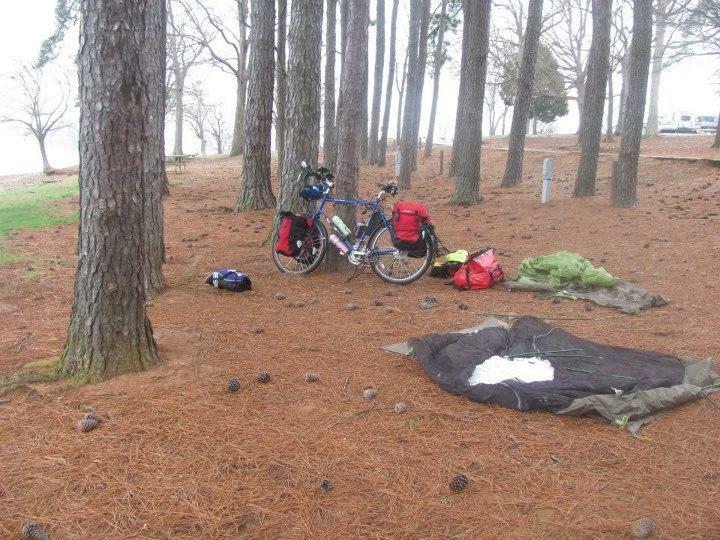 I have rented two Cannondale T-800 touring bikes along with camping gear from Natural High Bicycle Shop in Christchurch http://www.naturalhigh.co.nz/. 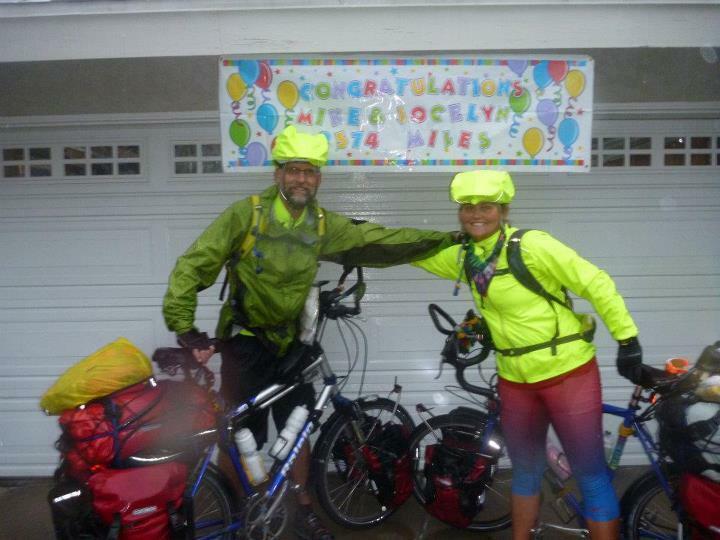 Jocelyn will bring our panniers and other bike gear. Our South Island tour will start on October 12th. 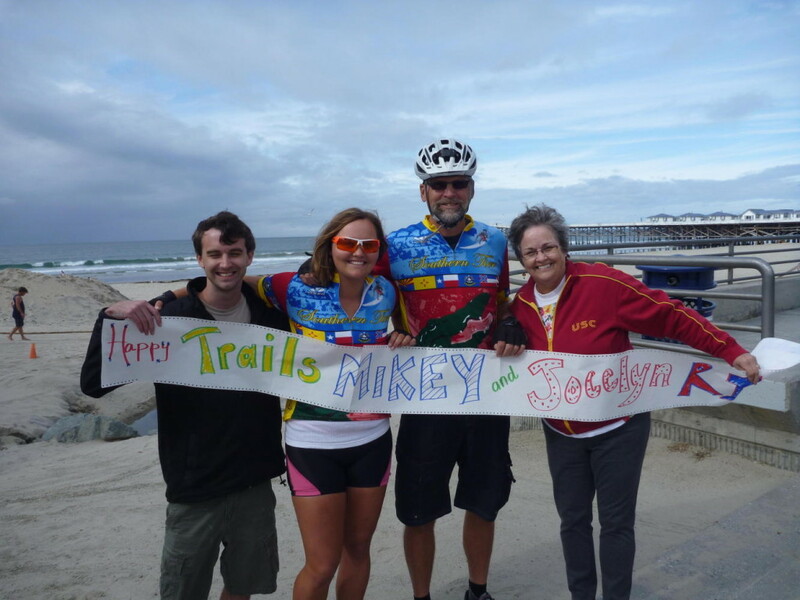 At the completion of our Southern Tier ride in San Diego, California November 2011. We finished in a downpour! We popped the cork after 2,650 miles! From the Atlantic to the Pacific: Crystal Pier San Diego, California. 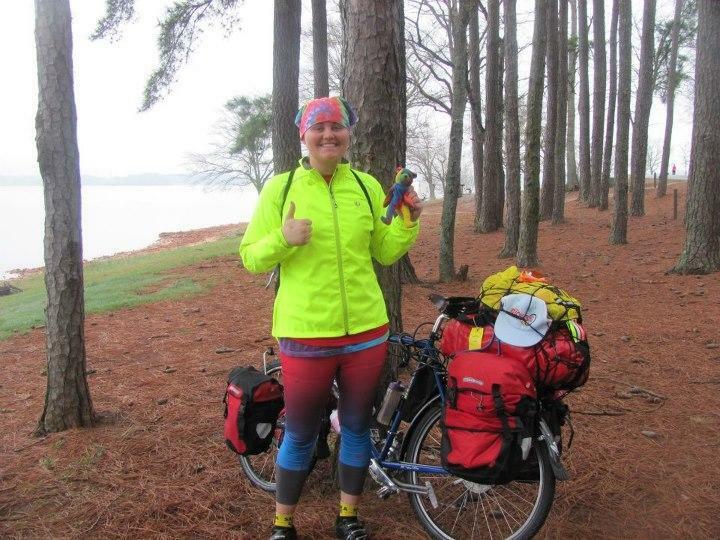 Jocelyn biking from North Carolina to Cape Canaveral, Florida on her own. 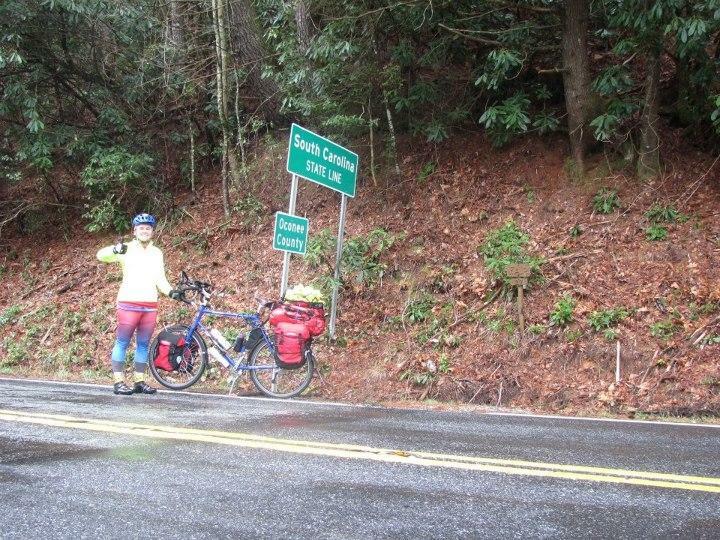 Jocelyn loves bicycle touring. I had a hard time getting used to the “Father/Daughter Adventure without her father though. 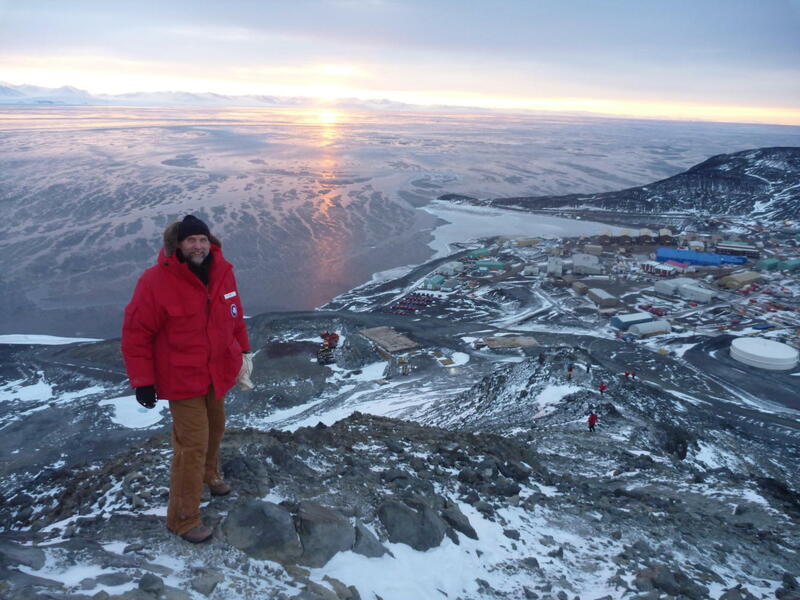 Mike in Antarctica overlooking McMurdo Station. 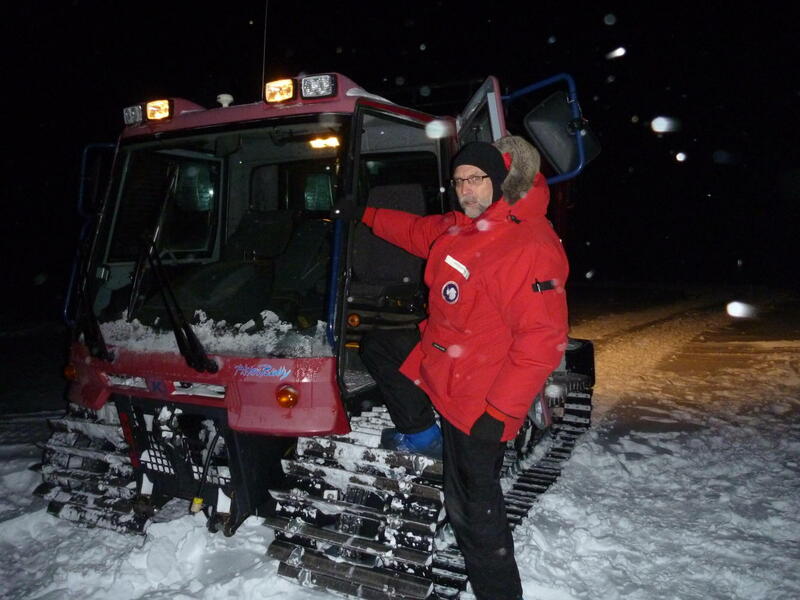 My vehicle for the last several months – a Pisten Bully. I do ride a bike in the station gym in preparation for our New Zealand tour. 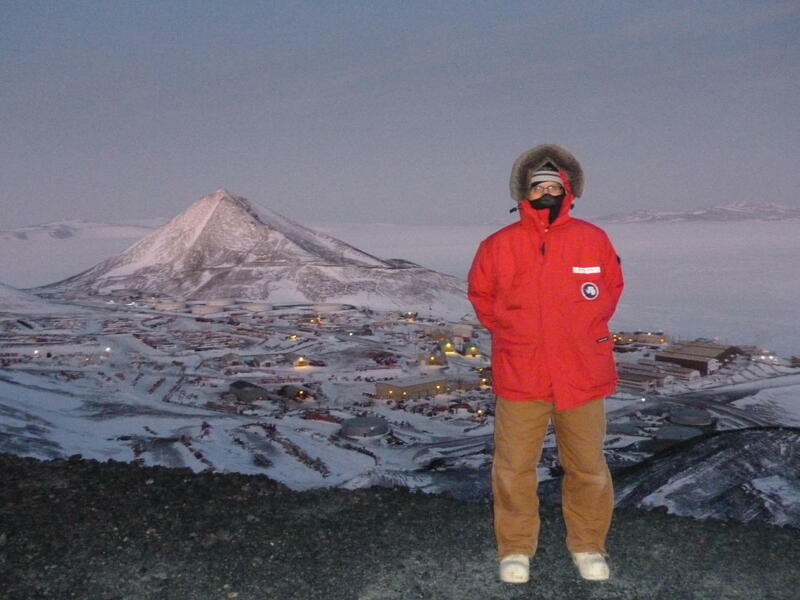 I am spending the 2012 winter in Antarctica. This was taken at the last sunset of the season in April. After four months of darkness the sun rose again September 21. 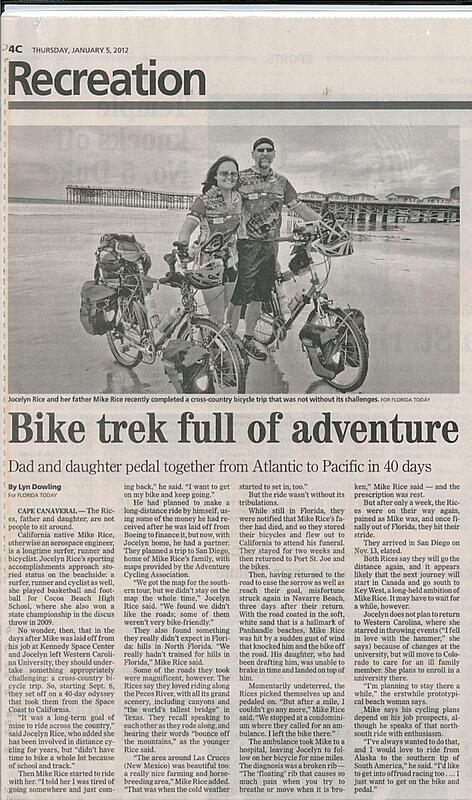 A Florida Today newspaper article about our cross country tour. 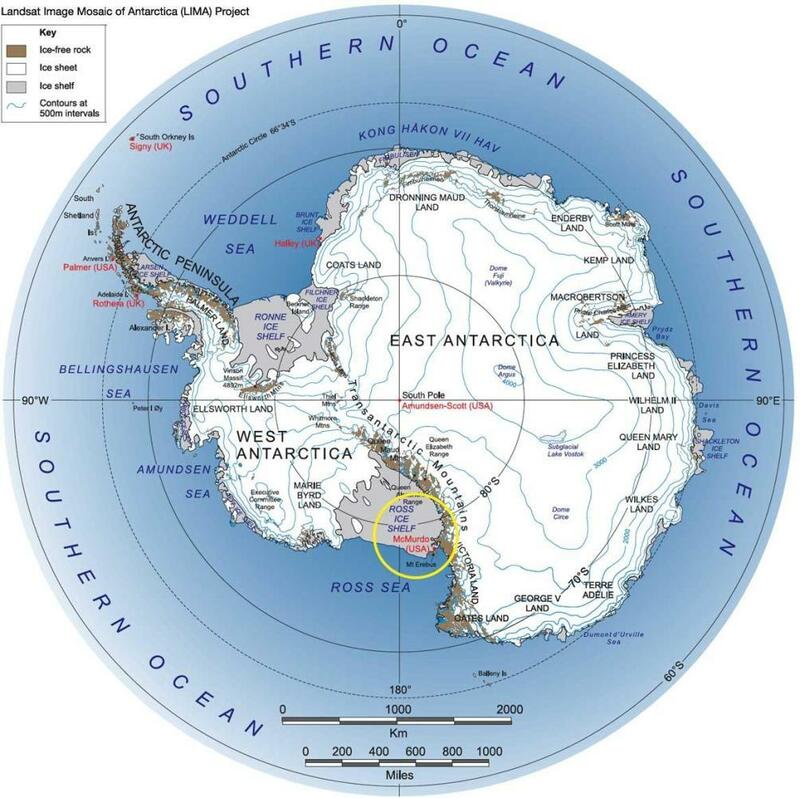 McMurdo Station in the yellow circle. New Zealand is north about 2500 miles.